1 Bedroom Terraced House For Sale in Preston for Asking Price £73,950. Unique and modern one bedroom terraced home with mezzanine split level floor. Perfect first time buy or buy to let opportunity. Situated within easy access to Preston city centre, train station and Cardinal Newman College. The accommodation briefly comprises; hallway, lounge with mezzanine level, modern breakfast kitchen, to the first floor, master bedroom with fitted wardrobes and luxury four piece bathroom. Double glazing and gas central heating system, low maintenance gardens to the rear. Viewing highly recommended. UPVC door to the front, radiator and storage cupboard. Double glazed french doors leading onto the rear gardens, two radiators and under stairs storage with usage as a study. Double glazed window to the front, range of wall and base units with complementary work surfaces, stainless steel sink and drainer, gas hob and oven with extractor, space for washer, part tiled walls and radiator. Double bedroom with mezzanine level overlooking the lounge area, double glazed velux window, fitted wardrobes and radiator. Luxury four piece bathroom comprising; bath, separate shower cubicle, wash basin, push button wc, part tiled walls, radiator and double glazed window to the front. 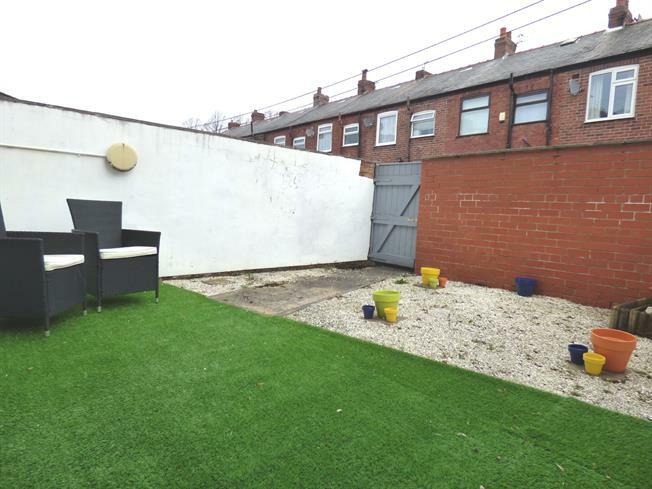 Wall enclosed rear garden with artificial lawn and stoned areas, outside tap and gated access to the rear.